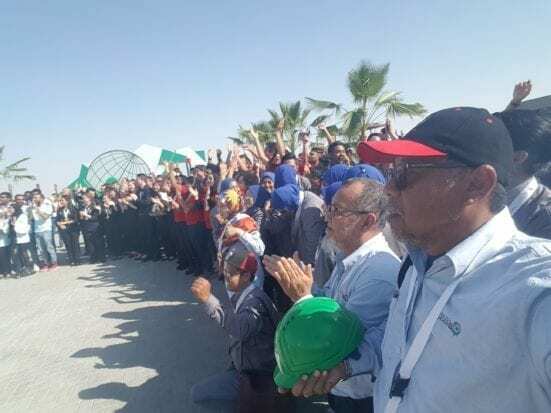 DUBAI, Nov. 19 – A group of lecturers and university students from Universiti Teknologi Malaysia (UTM) met at Sheikh Mohammed Rashid Al-Maktoum Solar site, here, to build a house branded as MIZANHome, since October 27. MIZANHome was a project built for the design competition and construction of a solar home called Solar Decathlon Middle East (SDME2018). This project combined both the researchers’ and students’ expertise in producing sustainable home prototype designs characterized by modern technology. The participation of experts from the Institute for Smart Infrastructure & Innovative Construction (ISIIC) of The School of Civil Engineering, Faculty of Architecture & Building (FABU), and Centre for Electrical Energy System (CEES), constituted a representative of Malaysia and Southeast Asia, with a collaboration with Universiti Sains Islam Malaysia (USIM). 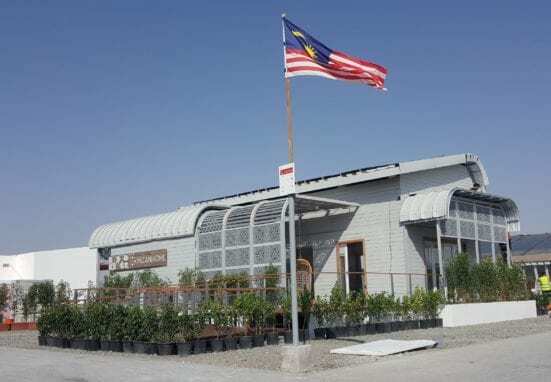 The team will compete with 15 other home teams who had their own home designs showcased at Mohammed bin Rashid Al Maktoum Solar Park, at Seih Al Dahal, in the Middle East. According to Project Head, Professor Dr Muhd ​Zaimi Abd Majid, the UTM team had successfully joined SDME2018 as a continuation of UTM’s success with Solar Decathlon China (SDC2013) in Datong City. UTM ultimate experience had been the foundation of the SDME2018 participation which also involved USIM lecturers and students who for the first time participated in this same world-class competition. Preparation of the design which covers Architectural, Structural, Mechanical, Renewable and Electrical Engineering aspects had commenced since September 2016. The collaboration between the two universities reflected the capabilities of public universities to synergize to produce an iconic project capable of being exhibited and featured globally. Involvement by various construction agencies and the construction industry in Malaysia also highlighted the ability of public universities to collaborate in displaying ‘state of the art’ R & D in Malaysia for world-viewers in Dubai as an advanced city. MIZAN Home and 14 houses from other teams around the world will be tried by a group of judges and opened for visits to construction and building industries as well as the public after the opening of SDME2018 on November 14, 2018, by HH Sheikh Ahmed bin Saeed Al Maktoum, Crown Prince of Dubai.